Syrian state media claims 'Israeli raid' wounded six. An Israeli air strike in central Syria wounded six combatants early Saturday, the official SANA news agency reported. "Our air defense batteries intercepted some of the Israeli missiles," the source said, adding that the strike "wounded three combatants and destroyed buildings." 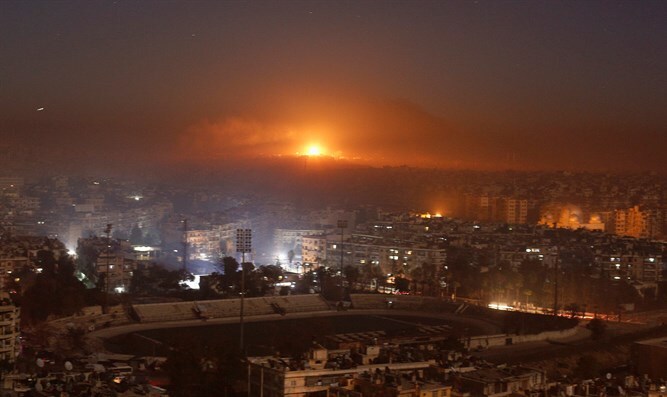 The Syrian Observatory for Human Rights said the strike targeted a Syrian military college in the town and two buildings used by Iranian forces in nearby villages -- a development center for medium-range missiles in Zawi and a training camp in Sheikh Ghadban. Israel is believed to have carried out hundreds of air strikes in Syria against Iranian and Hezbollah targets.